Bollywood actors Saif Ali Khan and Amrita Singh's younger son Ibrahim Ali Khan looks exactly like his father in these pictures. The young lad was spotted in Mumbai today. Dressed in a white t-shirt and black pants, Ibrahim was happy to spot the paparazzi. Ibrahim is Saif's son from his first wife Amrita Singh. He is still in college and will make his Bollywood debut soon. Ibrahim's elder sister Sara Ali Khan made her Bollywood debut with Kedarnath and is already two films old. She would be next seen in a film with Kartik Aryan. Ibrahim's youngest brother Taimur Ali Khan is the biggest superstar in the film. He is the most searched baby on the internet. 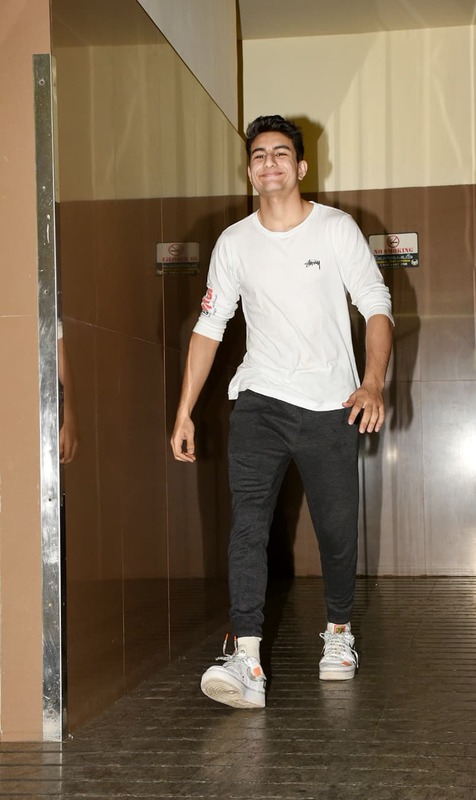 Ibrahim Ali Khan was spotted in the Mumbai on Friday.